Do you remember the time when Ate Zia stumbled and fell while running in Hongkong Disneyland? She told her Dad and Mom, “It’s ok, I’m brave!” She immediately got up as if nothing happened. Surely her very advance for her age. Today, Dingdong, Marian and Zi joined family day the activities of Zia’s school. The theme was carnival. They enjoyed a lot of fun and games. 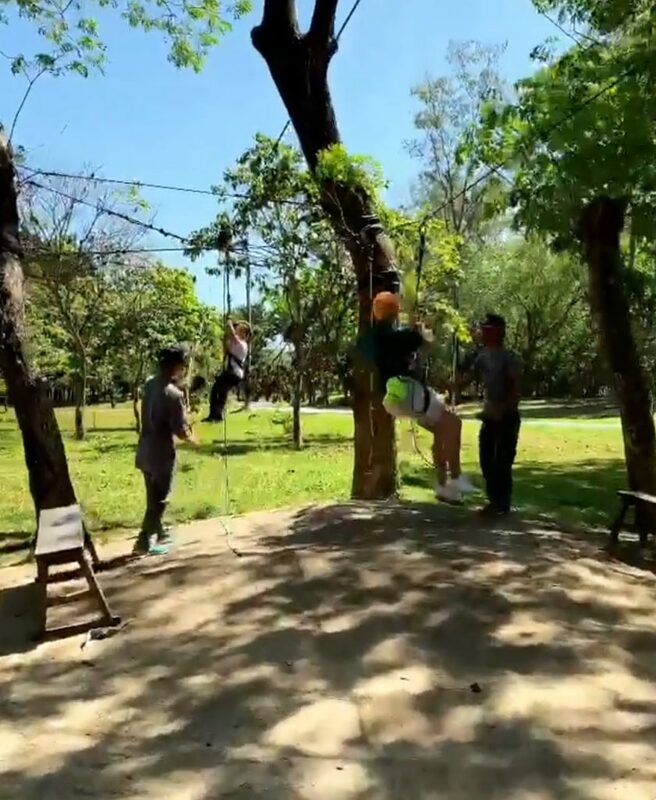 One of the activities they did was Zipline. 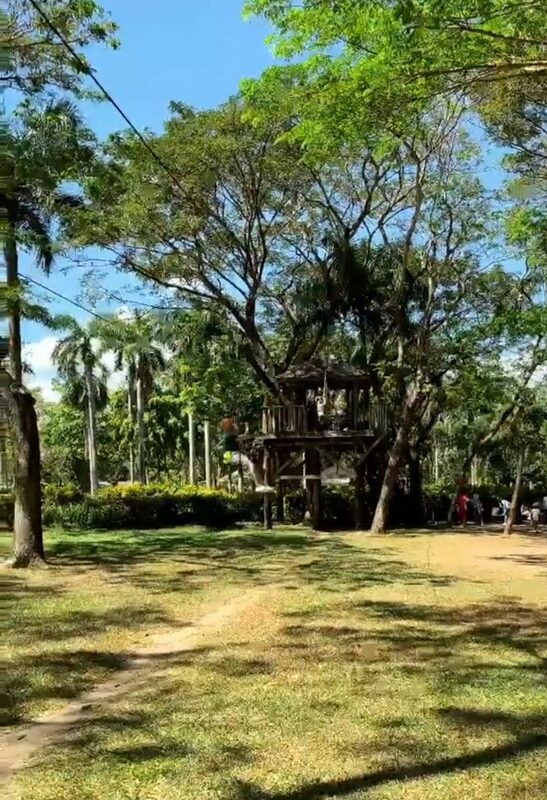 One would think that zipline would be terrifying for a 3 year old becausd of the height. More so doing it alone. Ate Zia is different. She did it by herself She is indeed a brave little girl. Daddy Dong went ahead of Ate Zia to captured the moment. 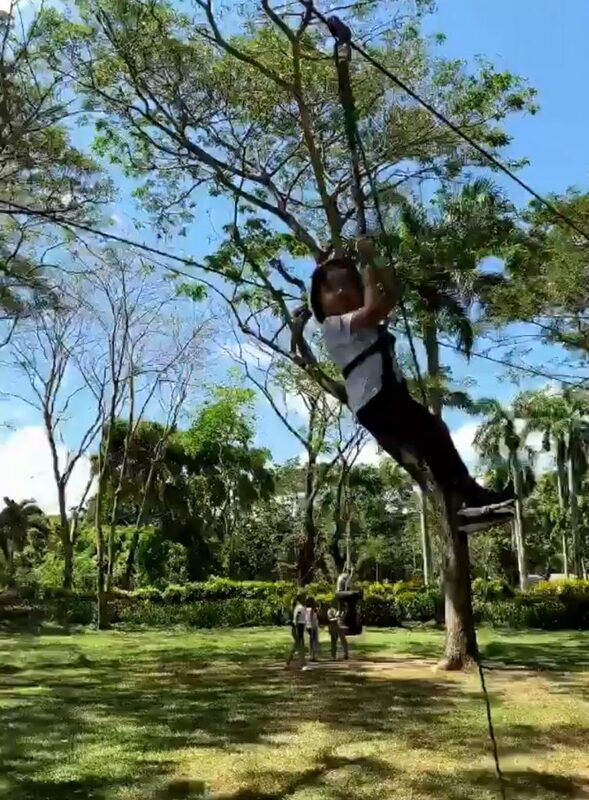 Mama Marian captured as Daddy Dong and Ate Zia on the zipline. Ofcoursd Mama Marian couldn’t join them because she is pregnant. Daddy Dong make sure ate zia is fine as she reached the end of the zipline. Here’s the clip shared by Mama Marian. Mama is so proud. In other news, Cain and Abel will end this february. Marian will also be taking a break from Sunday Pinasaya as her due date is now very near. We will surely miss them but ofcourse we can still watch them through their official youtube channel. The Dantes Squad.